Many many many of the issues in our horses come back to how we feed and the nutrition. For you cow people, the hind gut of the horse functions like the rumen (that’s where the stuff ferments etc) –> dysfunction in this part of the GI system will result in SYSTEMATIC effects. I can think of more than one disease that fits this definition, such as laminitis/founder. –> in the future, will probably find out that hind gut dysfunction has an impact on lameness. KER at the AERC convention talked at length about how different feeds, such as corn, function in the hind gut and warned that it’s really not a good idea to feed substances that alter the physiologic environment of the hind gut (like corn). He talked about feed stuffs in light of ulcers etc, but what you put into the horse goes beyond ulcer risks. Horses are fed on a dry weight basis as a % of BW –> The reason that grazing on a pasture is so good for a horse is because moisture is so much higher on pasture, and it takes all day for the horse to eat 2% DM of BW on pasture. However, that same a 2% dry matter in a flake of hay can be polished off in an hour. Based on nutritional content of a “typical” pasture, a “maintenance” horse can probably be maintained on pasture, working horses probably have additional requirements. Grain hays: tend to higher in NSC (>20%). May have lower protein. Bottom line: although I may occasionally feed it (for example, if it’s at a ride and it’s at the check and that’s what Farley wants), I will not make feeding grain hays a typical practice. Legume hays: VERY high protein (even though it is lower quality than dairy alfalfa, still running over 20%) and Ca. Typically high calorie. Low starch and sugar (low glycemic) but some carb sensitive horses can not handle it (11%). Experts are not sure why. Adding more than 25-30% to the horses diet is not recommended –> diets that contain over this amount are hard to balance nutritionally. in addition to the additional water needed to process the protein (as discussed earlier in the blog), high protein –> causes body temperature to go up!!!!!! At this point you may be saying, why the heck would I ever feed alfalfa to my endurance horse? Alfalfa has a more complete amino acid profile (lysine) than other hays (such as grass), which is needed when the horse is under significant work and building/repairing muscle. Additionally, the calcium has a buffering property. I plan to make sure I include alfalfa in my horses diet before, during, and after an endurance ride, even if I don’t typically feed it. Alfalfa that is added to the diet should be fed in the morning because that’s when the acid content of the stomach is highest. Why? The horse stomach continually produces acid in its stomach regardless of whether it’s eating (because from an evolution standpoint it’s a grazer), and the horse is usually not eating as much at night, if at all. Grass hays: moderate protein (10-12%, which is PLENTY of protein for the performance horse! However some areas are growing grass hays that have 18% protein. Know the forage in your area! ), lower calorie, moderate NSC (~12%). Grass hay is suitable for most horses. I personally love grass hay for my endurance horse and this makes up the bulk of Farley’s diet. ***remember to look at the leaf to stem ratio regardless of the hay in your hay quality evaluation. If you are buying hay in large quantities, hay analysis is fairly cheap ($26 or so). I think we all know to look at the NSC’s, calcium, Se, Copper, Iron etc in hay analysis’, but something else to look at in your hay analysis is ADF. -Do not want an ADF over 32% or so for performance (or other high energy need horse)! To weigh or not weigh? Interesting fact: Flakes tend to be consistent in one load of hay because of how it is baled –> so if you weigh flakes at the beginning of a load, you have a good estimate of what flakes in that load will weigh. Dr. Thunes mentioned Triple Crown several times in her presentation. In generally, Triple Crown, and other companies that are fixed ingredient/fixed formulation feeds will cost a bit more, and flutuate with feed prices, because they don’t sub in ingredients. My favorite companies, like LMF, Elk Grove Milling (stable mix), are fixed ingredient/formulation products. Dr. Thunes opinion is low level deficiencies cause problems in the older horse, even if the younger version looks fine. Thus, feed a ration balancer. Hay is predictably low in minerals and vitamins, thus feeding a ration balancer is an EXCELLENT idea, unless you are feeding another complete feed AT the manufacture recommendation. I personally don’t know of ANYONE that feeds as much complete feed/senior feed etc. at the manufacture’s recommendations, so my suspicion is that most of us fall into the category of needing a ration balancer, if our horses’ diet consists mainly of hay. There’s a particular ration balancer she liked for California hays –> if you are feeding a California hay, email or comment and I’ll give you the specific product (triple crown). One question I had for Dr. Thunes was feeding a ration balancer on top of another feed that is being fed below the manufacture’s recommendation. For example, I feed EGM Stable Mix at various levels depending on the amount of work Farley’s in, but as this feed is formulated as a “complete” feed that can completely substitute for hay in the horses’ diet, it is unlikely I will EVER feed enough for her to meet the recommendation on the bag. This applies to other feeds too –> I fed LMF Gold for a while and while the manufacture’s recommendation was around 12 pounds or so (relying on memory here….) I never fed over 4 or 5 pounds because I didn’t need to based on her body condition (adding most of these feeds in order to maintain a certain level of calories, or for mashes at rides for hydration etc.). Am I creating an imbalance by adding another feed on top of the ration balancer? Her answer was that feeding a ration balancer on top of another feed, as long as I fed the feed below recommended manufacture’s amount is fine, even in the case of a feed like LMF Gold, where I’m feeding a higher %age of the recommended as compared to Stable mix. Feeding a ration balancer on top of beet pulp and oil is also fine. If at some point you feed enough of the “feed” to meet the manufacture’s recommendation on the bag, then discontinue the ration balancer. One of the things that seems to shock horsey non-endurance people when they ask what my horse eats at rides is my attitude of “my horse can eat whatever she wants”. They always ask about colic etc because of letting my horse try novel hays and mashes at rides that she doesn’t have access to on a regular basis at home. There’s a couple of strategies that might be worth considering if your horse eats a fairly simple diet of grass hay, oil, beet pulp at home, but you want to provide more options at a ride without worrying. -One is to introduce alternative feeds 1-2 weeks before the ride. In those 1-2 weeks I stop the oil, increase vitamin E concentrations, increase Se supplementation and add a small flake of Alfalfa. If I haven’t been feeding EGM mashes, I start adding them in those weeks and I rotate LMF gold or whatever other feed I have at hand that I plan on bringing to the ride. 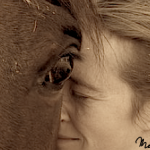 -Another thought is to pick a feed whose top 3 ingredients are typical forages that the horse might see at a ride, OR feeds that you can break out and offer separately so the horse has more variation on ride day, without those feeds being truly “novel”. For example, if you pick a feed that contains “Oat, beet pulp, etc.” in it’s top ingredients, you could offer that as a mash during the ride, OR offer an oat mash, beet pulp mash etc. as separate choices. I’ll end this post with 3 of my favorite feeds 🙂 –> triple crown, LMF, EGM. EGM Senior Stable Mix -> has a higher fat content than the “regular Stable Mix”. I think this is regionally available in the west so sorry all you folks on the east coast. It’s an affordable feed with a fixed ingredient list, and it’s a local company. LMF Low NSC Feed -> I used to feed LMF gold but I think this would be a better choice for Farley. Triple Crown Low Starch -> I got a sample of this at the AERC convention and I was really happy with it. Great palatability, made a great “milk-shake” mash. I hope you got a few gems out of these posts. I know I sure did. I feed a California hay – would love to know the recommended ration balancer product. Triple crown 30 is what she recommended! I feed California orchard grass and alfalfa. Plus stable mix with electrolytes and Forco added. My horse is a in light work to moderate. Should I not be feeding stable mix or should I add a balancer? This is getting confusing.